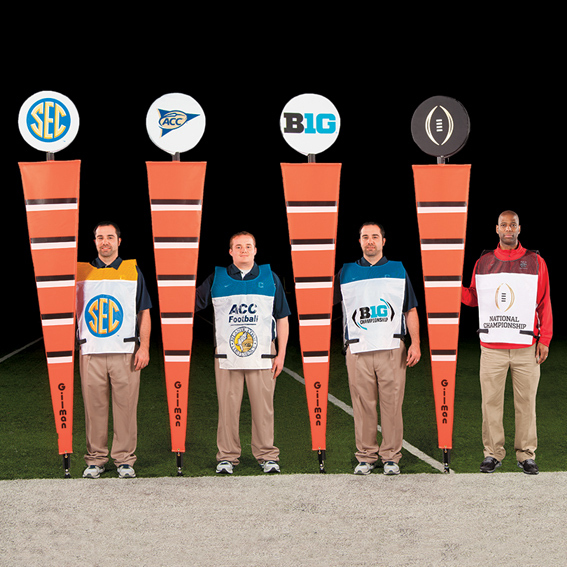 The PRO SET is the Ten-Yard Chain designed for the NFL! Offers high visibility and safety. Aluminum sticks are lightweight and padded. The shield is screened with black and white stripes and safety padded. Swivel snap hooks prevent tangled chains. Rubber caps seal the end. 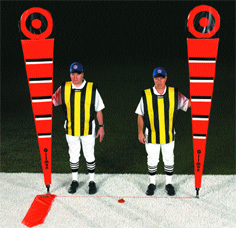 The High School model is a basic set of Bullseye Markers with Ten Yard Chain.